Supply both power and data connections between a host computer (desktop; laptop & notebook) USB ports and external USB storage and eliminates the needs for a power adapter. 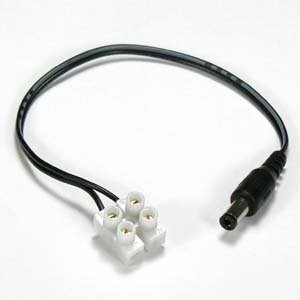 Power supply wires are mandatory for your security and surveillance system connections. You can get your power supply wire needs fulfilled at SF Cable. We have a range of products including power supply plug with wire and screw terminal, power supply jack with wire and screw terminal, polarized DC power jack with open end, and power converters. All products are available with various specifications to meet your requirements. All our products are available at very competitive prices without compromising on the quality of the product. We deal in RoHS compliant products which are safe to use and environment friendly. You can also expect good after sales service and lifetime technical support on the purchased products.